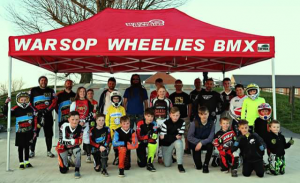 In the autumn 2015 round of RoLo Community Chest funding, Warsop Wheelies BMX Club received £500. The club used some of the money to buy a gazebo, which they will use at events and meetings. Pictured left are members of the Warsop Wheelies BMX Club underneath the gazebo. We’ll be announcing the latest round of RoLo Community Chest awards next week, so check back soon for more information. You can find out more about how to apply for future rounds of funding on the RoLo Community Chest page of our website. Would you like to join the Warsop Jigsaw Group?